Whether you’re looking for a pair of glamorous heels, a pair of sturdy boots or some classic Wellingtons, Fitzpatricks has it all. 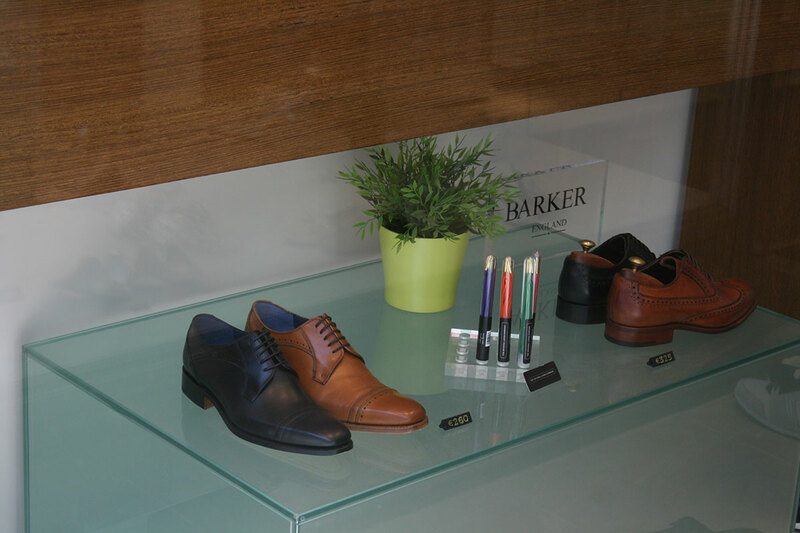 The shop stocks premium but reasonably priced brands such as Dubarry and Hunter, and caters for both men and women. Situated on Grafton Street in the heart of Dublin’s shopping district, you shouldn’t, couldn’t, wouldn’t miss it, surely? Since the store first opened its doors in 1926, Fitzpatrick’s has always prided itself on a reputation for excellence, that nothing is too much trouble to our customers, and finding the finest-quality merchandise. 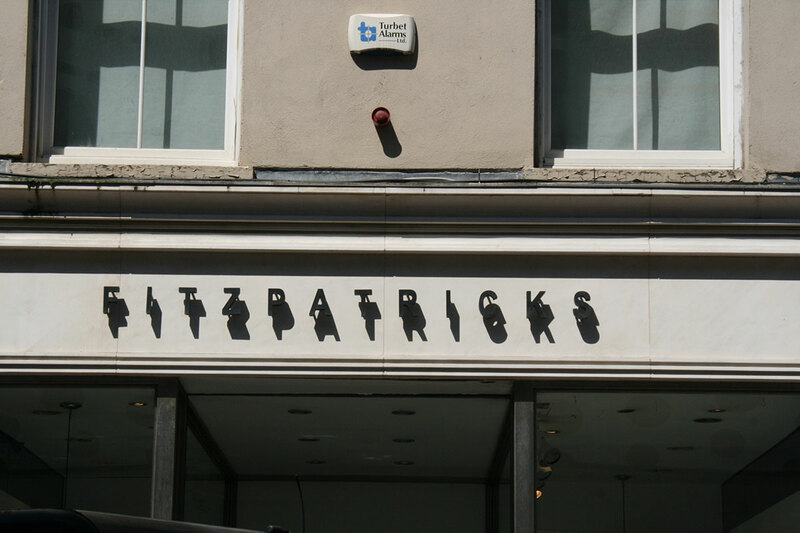 Fitzpatricks Footwear ltd is a family business, which is probably one of the principal reasons why the traditions laid down at its foundation, over 80 years ago are still vigorously maintained and as each year goes on Fitzpatricks continues to grow, adapt, reassess and re-invent itself to create a new history. 1926 In October of 1926 Mr Thomas Fitzpatrick and his wife Ellen opened the doors of their first shop under the Henry Street wing of the new GPO building making it one of the first shops to open there after the 1916 rising. 1933 Mr Fitzpatrick decided to extend his business, and premises were acquired at No 14 South Great Georges Street and so the second shop was born. In 1950 Tom’s son Sean joined the business and in 1951 he took over as manager of the Georges street store. 1943 O’Connell Street was now a busy shopping street and was the third location in which Tom decided to open another shop. By this time each of Tom’s sons were in charge of a particular branch, all three of them being keenly interested in footwear. Tom’s son Michael took over as manager of O’Connell Street but later transferred as manager to Henry Street. 1948 Fitzpatricks Shoes becomes a limited company and Tom’s son now takes over as director of the company. 1956 A second adjoining building is bought on South Georges Street and the shop now doubles in size. 1961 On Wednesday 1st November 1961 Fitzpatricks Shoes opens its 10,0000 sqft flagship store in Irelands premier retail location Grafton Street. 1978 The business was split into three companies with each of Tom’s sons gaining control of their own stores. Michael ended up taking charge of the Grafton Street store and his son Declan was appointed Buyer having started in the business in 1973. He was later joined by his brother Paul after he had qualified as an accountant. 2005 Fitzpatricks opens in the award winning Dundrum Town Centre, combining a stylish shop fit with high end luxury brands and our own Fitzpatricks Shoes brand. This store is a huge success with the younger set who enjoy shopping for the latest addition to their shoe collections. 2008 Fitzpatricks opens in the new CHQ Centre in the Docklands, Irelands newest and trendiest centre in the heart of Dublin. Built in 1820 as a wine and tobacco warehouse it has been restored by the Dublin Docklands authority. In keeping with the Fitzpatricks image the store carries the full range of designer shoes as well as their own label Fitzpatricks Shoes and Irelands first UGG shop in shop concept. 2010 Fitzpatricks begin trading online as part of their expansion plans at www.fitzpatricksshoes.com. 2011 During March 2011, Fitzpatricks ceased trading in the CHQ centre in the IFSC, Dublin due to unfavourable trading conditions. Further restructuring of the company resulted in The Grafton Street store and the dundrum store separating into different companies. In 2013 as part of a new strategy and direction for the company to expand nationwide Fitzpatricks began stocking it’s products in Olivia Danielle boutique in Athlone and also in Carlow in the Elaine Curtis boutique.